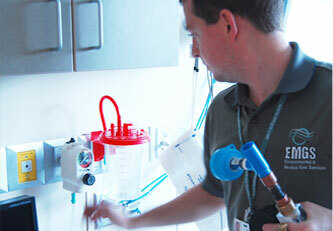 Do medical gas cylinders have to be protected from direct sunlight? 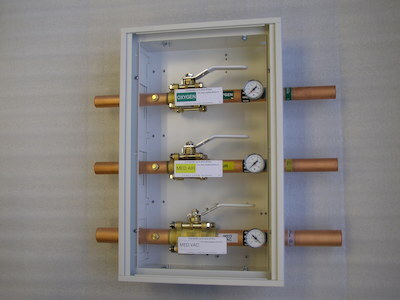 If you have a gas manifold installed outdoors then you need to ask yourself this question: am I in a location where extreme temperatures prevail? If the answer is yes then you should take steps to protect those gas cylinders from direct sunlight, if the answer is no then maybe you’re fine. Keep in mind that the AHJ (Authority Having Jurisdiction) will ultimately determine if you’re in a location where extreme temperatures prevail. It may be worth asking your AHJ what they think if you have the relationship with them where that is feasible. Sub-paragraph (1) & (2) from this reference should not be ignored either. Rust on cylinders is a common problem so ensure that your concrete pad is well drained and free of dirt & mud. Ice & snow buildup can be a major issue in the northern states, being diligent and keeping the pad clear so that it can be navigated by personnel is important after a big snowstorm. https://emgsi.com/wp-content/uploads/2015/09/cropped-logo-only-3d-icon-300x300.png 0 0 Cary Darden https://emgsi.com/wp-content/uploads/2015/09/cropped-logo-only-3d-icon-300x300.png Cary Darden2017-03-28 08:23:422017-03-28 09:06:18Do medical gas cylinders have to be protected from direct sunlight? 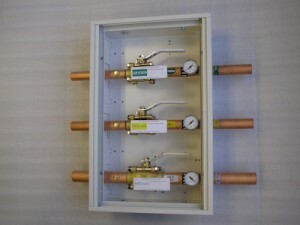 5.1.4.8.8 Zone valves shall be labeled in accordance with 5.1.11.2. There seems to be much confusion over the requirements set out by NFPA 99 for existing facilities vs. those for new construction / renovation work. The 2012 edition of NFPA 99 has done a great deal to clear some of this up. changes that alter the piping. through 5.1.15 shall apply to existing health care facilities. NFPA 99 doesn’t mention a specific schedule for medical gas outlet testing on existing outlets, it just says periodic. 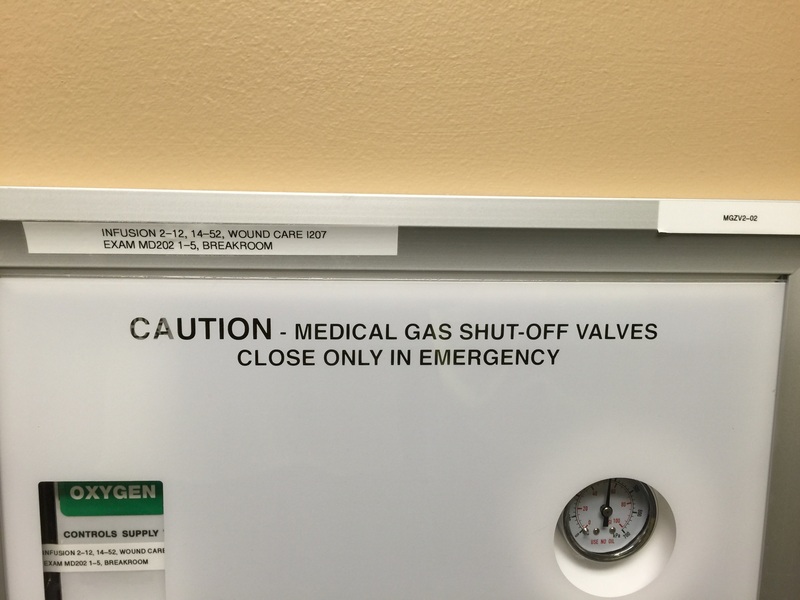 The healthcare facility will need to make a policy that says how often the med gas outlets get checked (i.e. every three years etc) and adhere to that. The section of NFPA 99 that specifies all outlets / inlets must be checked falls under the new construction / renovation portion. (5.1.5* Station Outlets/Inlets.) These requirements as they are written in 5.1.5 are not intended to be applied to existing healthcare facilities. Remember that the * next to (11) refers to additional material which is located in the annex of NFPA 99. In this case A.5.1.14.2.3.1(11) simply states that the outlets should be inspected for a general condition & be gas specific (noninterchangeable indexing). Annex material is not enforceable as code and is meant for reference only however, that doesn’t mean that an AHJ (Authority Having Jurisdiction) will not use annex material for a given facility or situation. 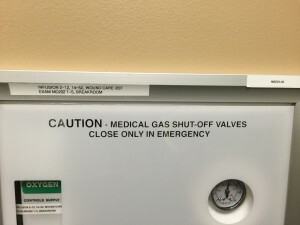 Just be aware of the additional requirements located in the annex for this section and take them into consideration when doing your risk assessments and writing your medical gas outlet testing policy.